Carbondale, Colorado is a small mountain town located in the Rocky Mountains between Aspen and Glenwood Springs in the Roaring Fork Valley, in Garfield County. 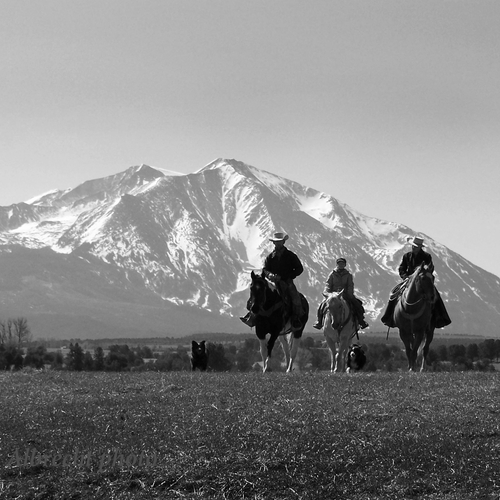 Its sense of place stems from peaks of Mount Sopris, and the rolling land and rivers that surround it. The Town of Carbondale has carved it's own special niche in the Roaring Fork Valley with its rich mixture of ranching, recreation, local food production, creative enterprises, culinary and healing arts, heritage and renewable energy industries all tied together by the land. This enduring link to the land has helped Carbondale through many cycles of change and is the connector that keeps young and old, progressive and conservative and the many valley cultures bonded through an intersection of culture and community. 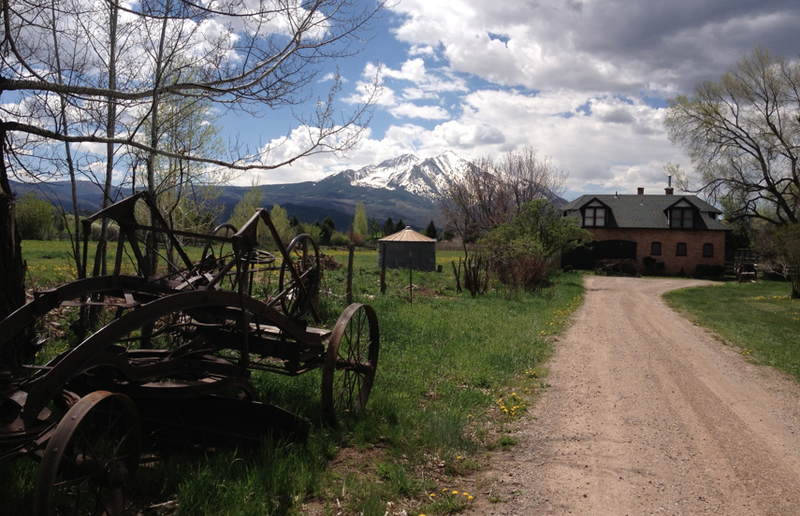 In addition to its heritage in western ranching and farming culture, Carbondale’s community is heavily bicycle-centric and boasts extensive bike trails throughout the town and the Roaring Fork Valley. The two rivers, The Roaring Fork and The Crystal, provide river rich experiences, along with exceptional mountain biking, hiking, climbing and skiing. Arts and history are a significant part of the community's culture, as well as a significant part of the local economy. The town owns a state treasure, The Thompson House, a unique home built in the late 1800’s that still holds the original artifacts of the family who lived there. It is a designated National Landmark and State Historical site. Carbondale is home to upward of 200 creative organizations, artists and artisans including collectives like SAW, the Studio for Arts and Works is home to around 25 artists, The Third Street Center with 12-15 creatives and non-profits, the Roaring Forge and creative entrepreneurs of Dolores Way. As you walk about town you'll notice a yearly rotation of public sculpture thanks to Carbondale's Public Arts program (CPAC). Stop by Marble Distillery, Roaring Fork Beer Company for a craft drink and a tour or grab a sandwich at Granetta Bakery or acai bowl at The Beat. After you eat, take a bike ride along the Rio Grande ArtWay then catch a show at Steve's Guitars or Thunder River Theatre. Many of Carbondale's creative businesses have been around for a very long time like Carbondale Arts (formerly CCAH) was founded in 1973 by community members who saw the arts as essential to the heart and soul of our community. KNDK Community Radio developed in 1983 and is still the voice of the community today. The Carbondale Clay Center began 15 years ago and attracts residents and artists from all around the United States. Learn about more of our vibrant creative organizations in the Creative District Inventory such as True Nature Healing Arts (a center for yoga, meditation, tea room, local food and interactive gardens) The Launchpad: Space for the Arts (with gallery, dance studios and edible and sculpture gardens), Dance Initiative, Stage of Life (SoL) Youth Theatre, Om Puppet Theatre, Solar Rollers, Sustainable Settings (local food production) and the Powers Art Center (featuring a private Jasper Johns collection). Throughout the year Carbondale boasts many annual arts and cultural events such as the Carbondale Mountain Fair, 5Point Film Festival, Festival de las Americas, Dandelion Days, Green is the New Black Fashion Extravaganza, Mt Sopris Music Festival, Potato Days and Carbondale’s First Fridays which bring hundreds of people to town to partake in gallery openings, culinary arts and music. The last full weekend in July. Photo by Mark Burrows. at True Nature Healing Arts. Photo courtesy of TNHA.